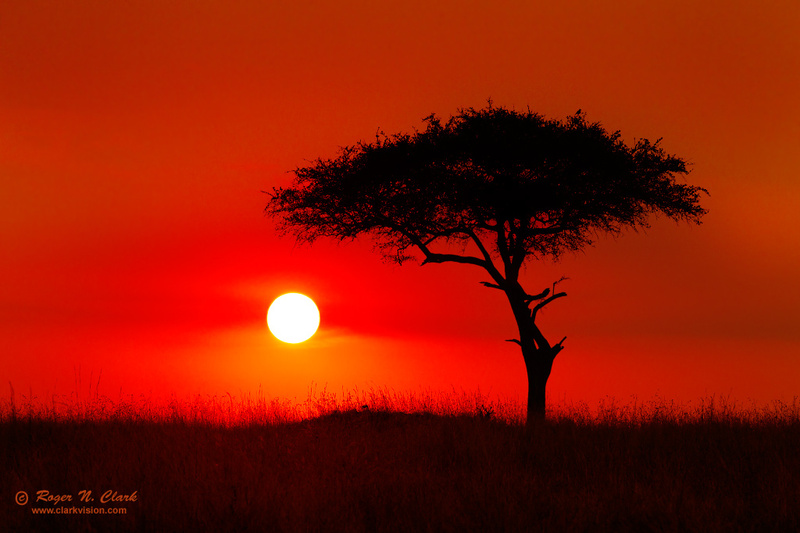 A beautiful setting sun on a hazy day in the northern Serengeti near the Mara River. The small bird in the top of the tree appears to be a Lilac Breasted Roller. Technical. Canon 1D Mark IV digital camera, 70-200 mm f/4 L IS lens at 200 mm, f/8, 1/320 second exposure at ISO 200. Hand held on beanbag. Full image, no crop. The relatively long exposure time was due to smoke from grass fires creating thick haze.